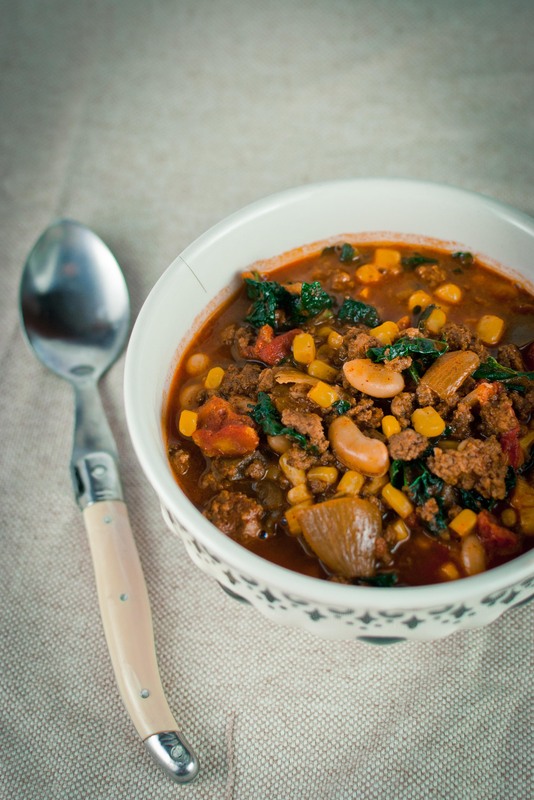 I have to admit that I am fully bought into the kale craze and lacinto kale is a great hearty green to add to my spicy beef chili. So spicy that I needed to add white beans and corn to tame the heat. I guess I was a little too heavy handed but I do love a good heat that warms me inside and out.